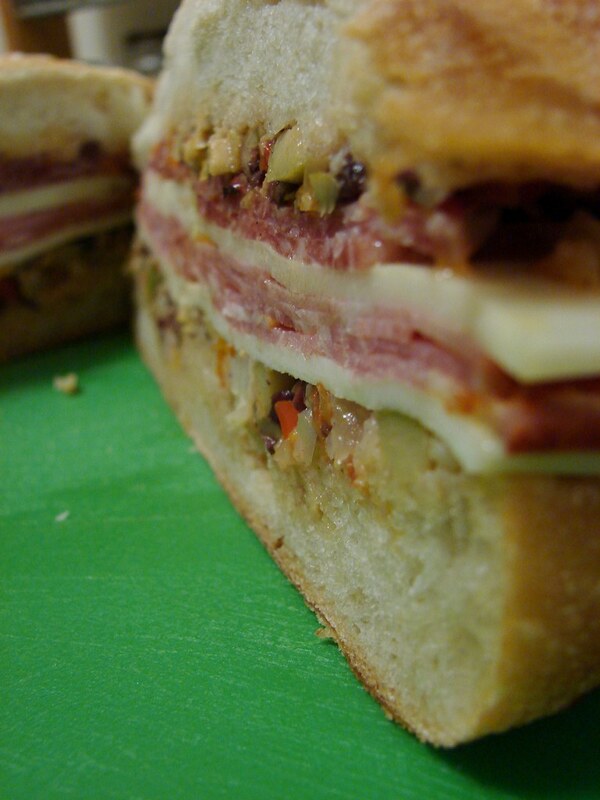 The other night we made a muffaletta....okay, Jack made it while I watched. He's the sandwich master of the house, afterall. 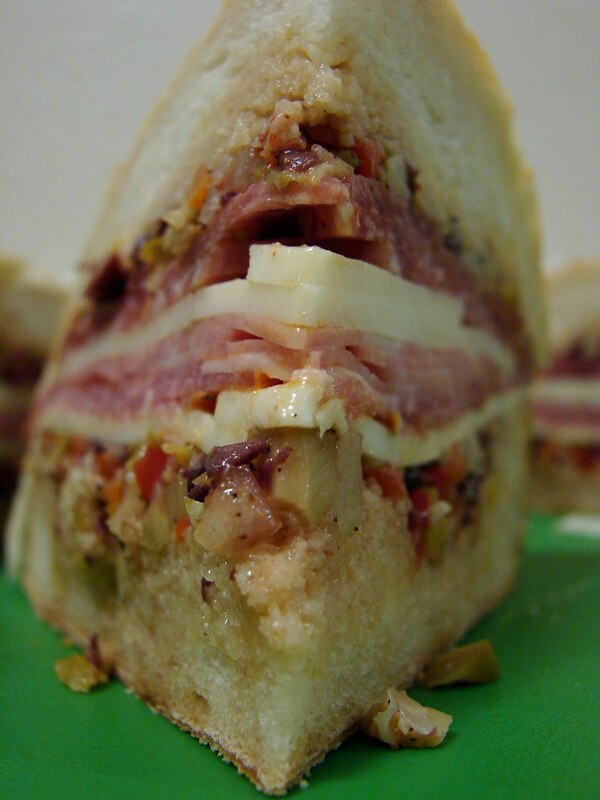 Our muffaletta didn't stray too far from the traditional. Basically, a round Italian loaf of bread layered with, in order from bottom to top, olive salad, Mozzerella cheese, Capicola ham, Mortadella, Provolone cheese, salami and more olive salad. 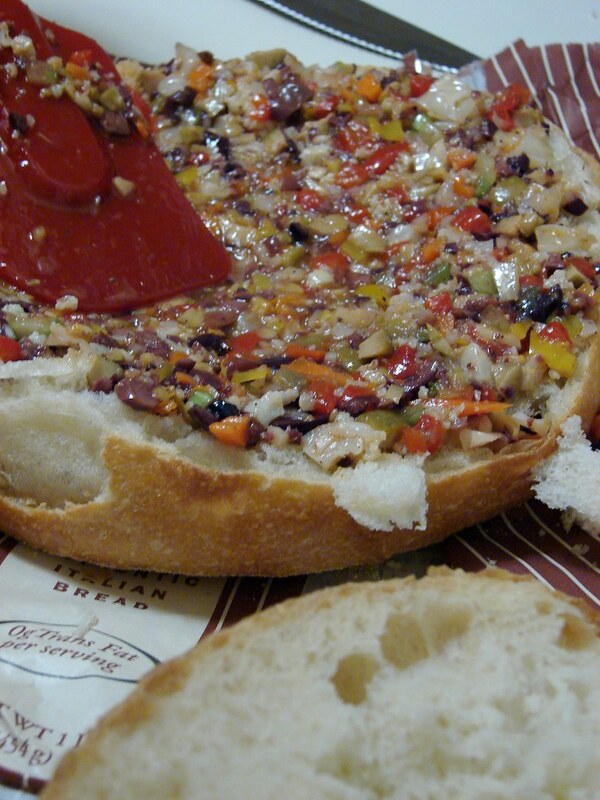 Mix all of the ingredients together, taste it for seasoning, let sit for at least half an hour, then make a muffaletta with it! After assembling the sandwich, we put another plate on top of it and some weight...we used a caraffe of water, but a big can of tomatoes or something would work, also. Let it smush and meld and delish-i-fy for a half hour or so. Holy crap, that looks good! can the krispy kreme burger be topped? grilled pizza and tequila lime cheesecake!